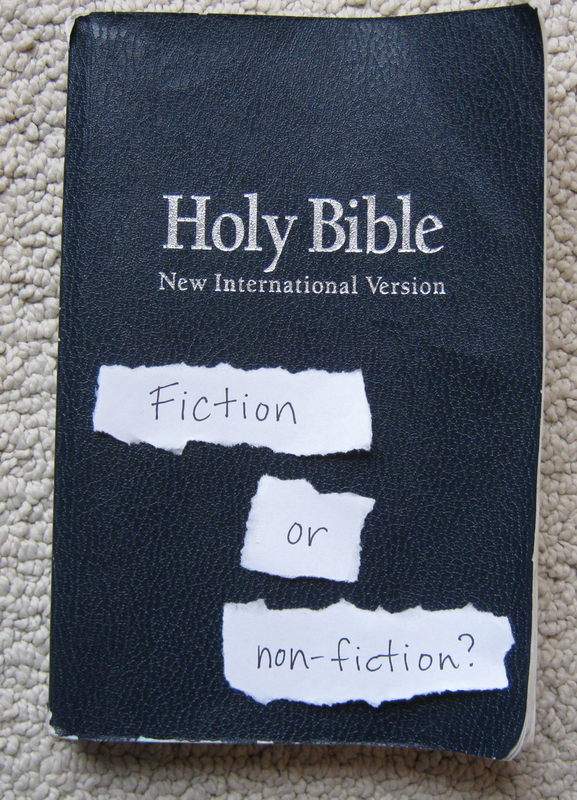 Does the Bible Tell the Real Story About Jesus? Secret societies. Supressed information. A royal dynasty parented by Jesus and Mary Magdalene. Secret information passed on to select disciples. A Vatican cover-up. A faked death, covered up by Pontius Pilate. An Egyptian myth that was mistakenly taken for truth. Who hasn’t heard of at least one of these alternative theories to who Jesus was (that is, if He actually existed at all), what His mission was on earth, and what happened to Him after He died (if in fact He did die)? You may think that these alternate theories about Jesus sound ridiculous, but many others don’t. At minimum, a lot more people know about the Council of Nicaea than ever before, and believe that at least some degree of foul play was involved in how the books of the Bible were chosen. Even more feel that we can have relatively low certainty that the New Testament documents were faithfully passed on to us through the centuries. I had the opportunity to listen some of the reasons for this at a special presentation by Dr. Craig Evans, Payzant Distinguished Professor of New Testament at Acadia Divinity College (Acadia University, Nova Scotia). Among a myriad of other documentaries, Dr. Evans was selected as an expert consultant to the recent TV miniseries The Bible. One reason that people are embracing these kinds of conspiracy theories is that they are tantalizing. In general, Western cultures tend to mistrust experts and love imaginative, exciting, “new” ideas. Dr. Evans argued that, in our post-postmodern society (no, that is not a typo), people are biblically illiterate, theologically naïve, philosophically unsophisticated, historically ignorant, narrowly educated and lack the skills necessary for critical thinking. We cannot tell good research from bad. We find traditional truth boring. We are looking for a fresh, modern Jesus – one who “works for us”. Plus, a post-postmodern society has no problem with the concept of cobbling together the aspects they personally like from disparate religious beliefs and bundling them into a personal belief system. A make your own religion exercise. It is important to know is that New Testament scholars (including skeptics of Jesus and Christianity) agree that the gospels which most accurately reflect 1st Century thinking are Matthew, Mark, Luke and John. A bit boring, but true. 1. The older, the better. The older the document, the closer it is to the original, the better it reflects the original thinking and teaching. The majority of scholars date Mark by AD 70, Luke and Matthew by AD 80 and John by AD 90 (although arguments can be made for an earlier dating for each of these manuscripts). This means Mark was written just 40 years after Jesus’ crucifixion in AD 30. The new ‘lost’ gospels date 200 years after Jesus. 2. The more, then better. The more copies, particularly old copies, of a document you have, the more easily you can tell what the original text was. One copy may have a mistake, but they will not all have the same mistake. We have over 24,000 partial and complete New Testament manuscript portions – the most by far of any work of antiquity. Homer’s Iliad is second in number of ancient manuscripts still in existence, at 643 copies. 3. Who is the author? Many people do not realize that part of the test for recognizing if an ancient document should be considered as scripture was knowing who the author of the work was. The early church knew the authors of the books that were accepted as scripture. In contrast, we often know little to nothing about the authors of the new ‘lost’ documents. It turns out, what we’ve had all along in the Bible is the straight goods. If you know the facts, the newer, more exciting ideas don’t even get off the ground. Filed under Apologetics for Kids, Apologetics for Parents, Can We Trust The Bible and its Authors? ← Who Were You Before You Were Born?